Authorized Dealers (e.g. watches), Certified Developers (e.g. WebMethods), Certified Pre-Owned (e.g. 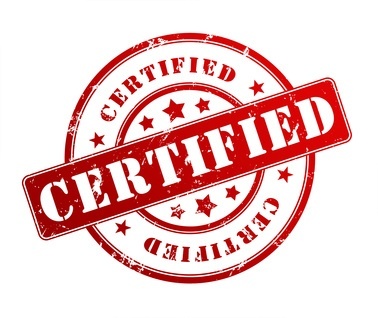 cars), Accredited Financial Advisors, Certified Personal Trainers…these are all people or things that have been authenticated as “fit for use” to some standard by some organization. But what is the importance of this authentication? In some circles or industries this authentication and the standards involved are highly valued, and in other instances it may be valued but other criterion might also be considered before buying a product or service. Many articles are written with case building points and the hook at the end, we are going to take a different approach.